The so-called Synoptic Problem can be defined as the search for the literary and redactional relationship between the three (obviously) extensively related “synoptic” gospels—Mark, Matthew, and Luke. Majority opinion has long favored the “two source theory”: Matthew and Luke primarily drew on Mark, and they also drew on a saying source not available to Mark known as “Q” (German abbreviation for Quelle, “source”). This is majority opinion: the two source theory of synoptic relationships, arguably the backbone of New Testament scholarship for over a century. Recent research, however, is now showing this theory to be untenable. The culprit is a little-known second century “heretic”: Marcion of Pontus (fl. 130–160 CE). (1) A founding gnostic prophet who lived in the early part of first century BCE (first noted by G.R.S. Mead, by Alvar Ellegard, and most recently in my book NazarethGate, Chp. 14). (2) A successor (‘caliph’ per R. Price) who lived in the mid-first century CE. He may be known variously under the names Simon Magus, James bar Cleophas, and James ‘the Just.’ This gnostic may also have written some short segments of the Pauline epistles. (3) The ‘gospel’ phase dating to mid-II CE, apparently following the work of Marcion and in reaction to him. In a separate series of posts (beginning here) I argue that all modern reconstructions of a “gospel” of Marcion as text are flawed—there was no textual “Gospel of Marcion” at all. When applied to Marcion, the word euaggelion/evangelium in the ecclesiastical writings refers broadly to the heretic’s doctrine and tenets (consistent with the most prevalent use of the word in the second century). Thus, modern scholarly methodology has been in error and involves a fundamental misreading of the hostile writings of the Church Fathers. Furthermore, those modern reconstructions yield a frank impossibility: a text that does not reflect Marcion’s own (and known) theology of two gods and of a docetic (spritual) Jesus! Clearly, something very wrong has transpired and endured in Marcionite scholarship. It may be that, at certain points, the ancient churchmen engaged in some dissembling in order to make it appear that a mere text was being critiqued—however I have found no evidence anywhere that a text by Marcion was ever under scrutiny—not even the so-called Antitheses, which has the most going for it as a written work of Marcion. Placing Marcion’s doctrine (“gospel”) before the canonical ones, of course, also has astounding chronological implications: the New Testament gospels (including Mark) must be redated no earlier than the middle decades of the second century CE! It is also not possible that Marcion’s “gospel” (whether text or not) was a textual abridgment of Luke’s gospel, as is commonly held. That sequence cannot obtain if Marcion’s gospel (“doctrine”) came first. The idea that Marcion had some role in the first stage of gospel formation has been long suspected—but it has also been, all along, extraordinarily frightening to the tradition… After all, Marcion was an arch-heretic. His conception of the divine (a ‘foreign’ god), and his disparagement of the creation (‘evil’) were categorically odious to the Great Church which sought not to escape from this world, but to assure the triumph of this world—and of our own, miserable, existences. Thus, any involvement of Marcion with the genesis of the canonical gospels has been subtly (and also not so subtly) put to one side. In ancient times Marcion’s theology was the object of astonishing borrowing (as we are learning) yet rabid hatred, of expropriation yet mutilation, of clandestine use yet overt disavowel, of selective co-opting yet complete suppression. Despite all the above ‘revolutionary’ opinion, mainstream scholarship has persistently fought the ‘Marcion first’ view. 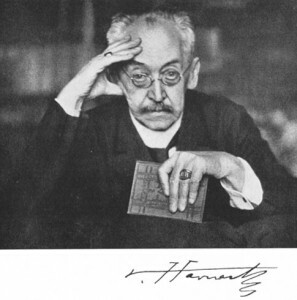 Towards the end of his life, Adolf Harnack hammered the decisive nail into the skeptics’ coffin by writing his argument-closing tome, Marcion: The Gospel of the Alien God (1920). Harnack’s summation—in clumsy English translation—became famous: “That the Gospel of Marcion is nothing else than what the primitive church judged it to be, namely, a falsified Luke, there is no need to spend one word on it.” Oh well. It appears to me that Harnack was wrong on two counts: Marcion’s “gospel” not only preceded Luke, but it never even existed as a text at all. How things can change! Marcion believed that “Jesus” was a divine, entirely spiritual entity separate from a certain fleshly human being in history who had become “possessed,” as it were, by the Jesus (= saving gnosis = “the Savior/Yeshua”). This conception may sound odd to us today, but a close reading (independent of preconceptions) shows that this is the view actually conveyed in our earliest Christian texts: the Pauline epistles (cf. NazarethGate pp. 408 f) and by the Gospel of Mark. Majority scholarly opinion has consistently maintained that Mark was the first gospel. When we realize that the Gospel of Mark was written in reaction to the theology of Marcion, then the similarity in names becomes of interest. The difference between “Mark” and “Marcion” is a mere suffix—“-ion” being a diminutive—i.e., “Little Mark.” With our present argument that Marcion’s gospel came first, speculation on possible links in history between the two names is entirely permissible. Both apparently refer to the first gospel. But if Marcion’s gospel (read: “theology”) truly did come first, then the tradition would have had no compunction denying this, saying it was a forgery/abridgment, and belittling it: Marcion was a Little (i.e. “inferior”) Mark. There is also a certain ecclesiastic Mark/Markion who served as bishop of Alexandria 142–152 CE. (We recall that the Gospel of Mark was “first proclaimed” in Alexandria—Euseb. Eccl. Hist. II.16). 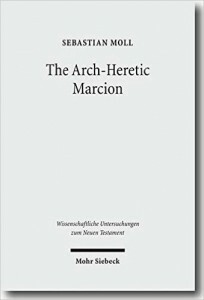 In any case, it seems that all references to the heretic “Marcion” are from hostile Catholic literature. They are, therefore, by definition unreliable. According to H.S. Huller’s blog, markion is a genitive attribute, of Mark, rather than a diminutive. I have proposed (here) that there was no written ‘Gospel of Marcion’ and that ‘euaggelion’ of Marcion referred to a theology (the way “gospel” is sometimes used today as a general reference, e.g., “The conservative gospel is limited government”). My view fits in with Huller’s suspicion in the same post regarding “the so-called ‘antitheses’ as a document written by a man named Marcion in addition to the gospel. 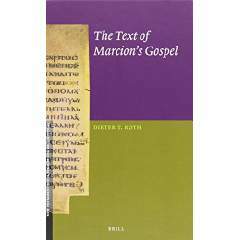 Couldn’t the Marcionite gospel have been the antitheses which in turn is Marcion[? ]” I have never doubted the existence of the Antitheses as written text. They have been cited by many Church Fathers. To my knowledge, however, there are no actual surviving citations from a ‘gospel’ of Marcion.